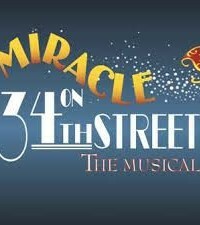 The Palace Theater in the Wisconsin Dells announces SUBMISSIONS for its upcoming production of Miracle on 34th Street. Adapted from the novel by Valentine Davies. Seeking strong ACTORS who sing for all roles/ensemble. Synopsis: In this Christmas classic, an old man going by the name of Kris Kringle fills in for an intoxicated Santa in Macy’s annual Thanksgiving Day parade. Kringle proves to be such a hit that he is soon appearing regularly at the chain’s main store in midtown Manhattan. When Kringle surprises customers and employees alike by claiming that he really is Santa Claus, it leads to a court case to determine his mental health and, more importantly, his authenticity. Rehearsals begin Monday, 10/24/16, opening Thursday, 11/10/16 and closing 12/28/16.